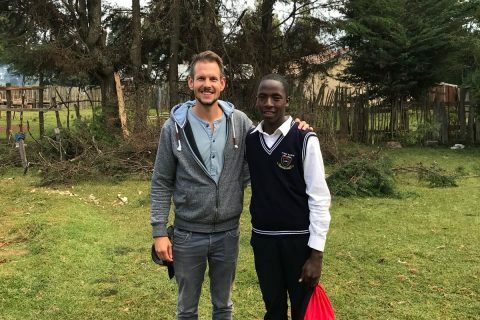 What started as two international athletes on the same running track start line in Aberdeen, Scotland has evolved into a partnership which gets Kenyan children onto the same start lines in life that many of us take for granted. 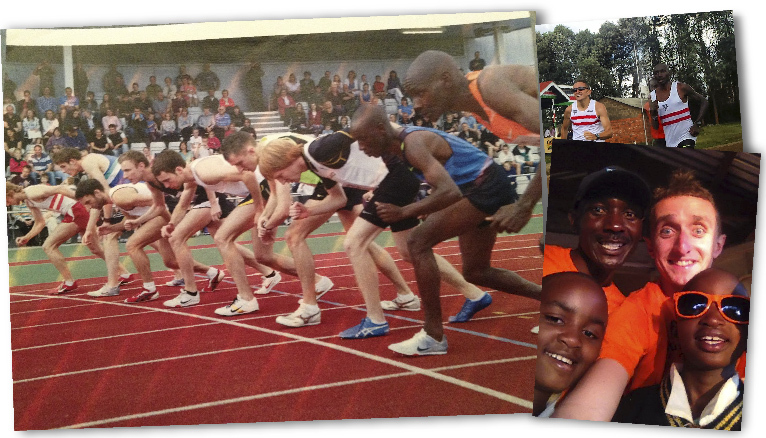 Myles Edwards first met Gideon Gathimba whilst racing in a 1 mile running event which was organised by his Father, Mel Edwards for the opening of Aberdeen Sports Village in 2009. 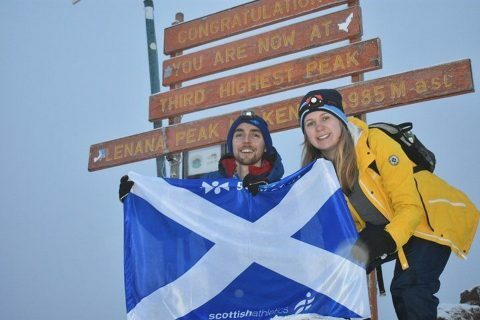 Since then Kenyan international, Gideon and Scottish 1,500m champion, Myles have become great friends with Myles spending many weeks living and training with him in Kenya. 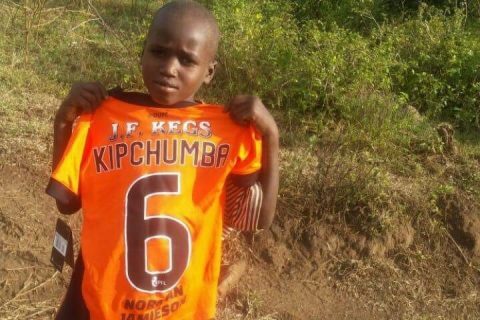 Gideon had often spoken about his desire to help disadvantaged children in Kenya and in May 2012 the pair saw a real opportunity to turn this dream into reality. Some people’s paths cross for a reason. 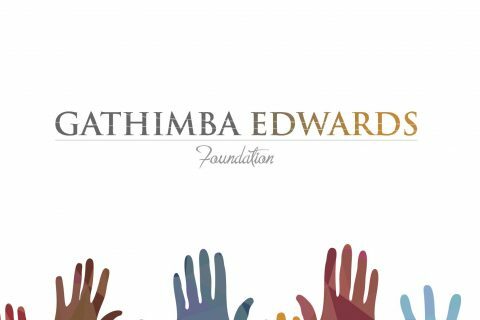 An inspirational visit to the Pavilion Village children’s home in Karatina provided the catalyst for them to establish the Gathimba Edwards Foundation. The Pavilion Village is home to 39 children – most of whom have either been abandoned or abused by their biological parents or in some cases lost them due to HIV. The home, run by Agnes and her husband John, was in dire straits with no electricity, broken windows, a lack of food and school fee debts meant many of the children were unable to attend school. Following that first visit to the home in May 2013, Myles made his way home inspired and determined to help these wonderful people. Since then and due to several initiatives, sponsorships and donations the school fee debts have now been cleared meaning the 39 children are back in education for the time being. Electricity has been installed along with new pillows, mattresses, stationery, clothing and cooking utensils as well as the dangerous road leading up to the home being re-laid. 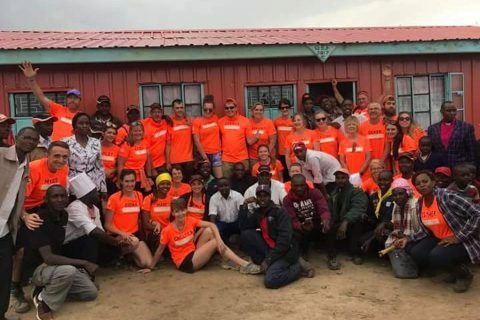 Our team of 51 volunteers in October 2015 also built a 16 bed dormitory with study area, living room and shower facility at the home as well as a 3 bedroom house for a little girl called Judy in Iruri. Click here to find out more about our annual volunteer house building trips. In total we have now built 33 houses for 159 kids and have been able to expand our support to a total of 338 children’s education, shelter and clothing, seminars, counselling, sustainable food solutions and various other initiatives across Kenya in areas such as Iten, Chaka, Karatina, Eldoret and Kitale. Our seminars for the families we are supporting offer presentations and discussions about a wide range of topics such as self esteem, gender equality and sexual health. However there is still more to be done: only some of our children’s education, shelter, clothing and food is fully covered at £35 per month thanks to the generosity of sponsors. Gathimba Edwards Foundation’s priority is ensure that every child under our wing is fully supported and given the chance of a bright future. Gathimba Edwards Foundation is a charity registered in Scotland. 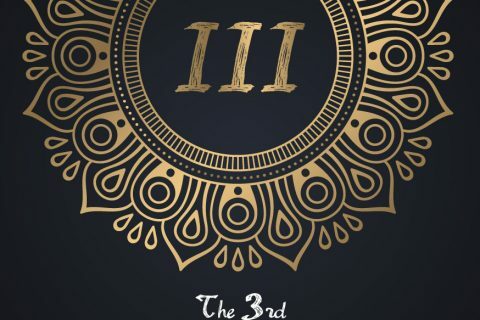 Charity No SC044869.